The lion and the dragons danced their way throughout the hotel as they shower each restaurant and floor with lucky coins and golden chocolates. All areas hanged their ang pao and lettuce for the dragons to eat for luck and fortune. 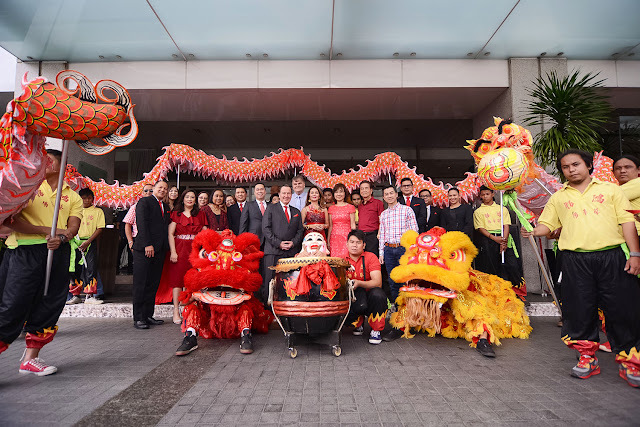 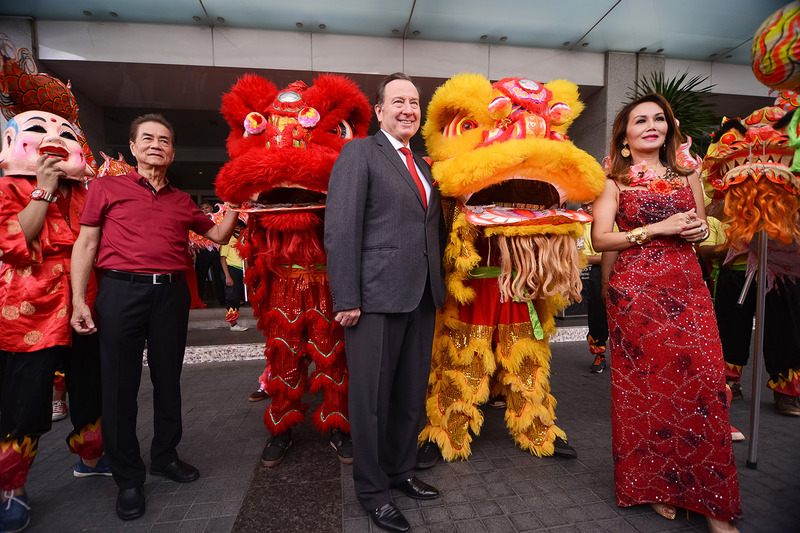 After luck has been spread out throughout the hotel, Marites Allen leads the traditional Prosperity Toss with Executive Chinese Chef Raymond Yeung, Frank Reichenbach, and Assistant Director of Restaurants, Bars, and Events Janice Chua. 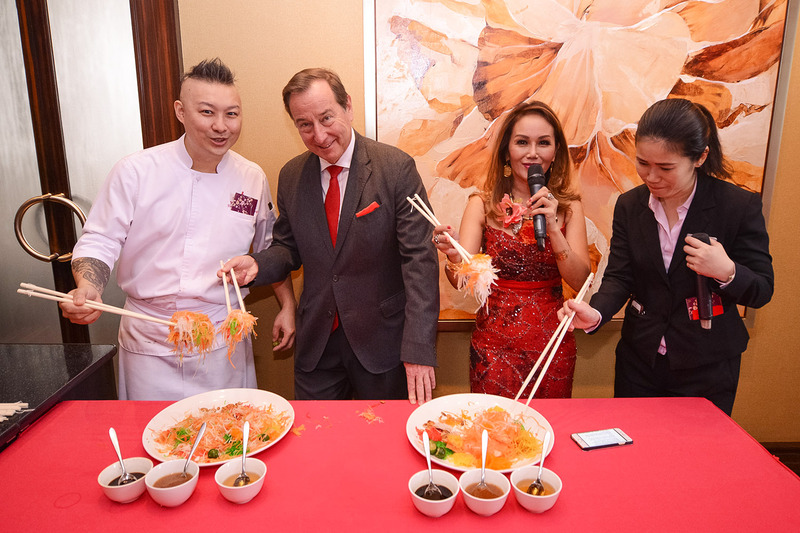 Lung Hin’s Yu Sheng consists of pickled vegetables, peanuts, and Salmon. 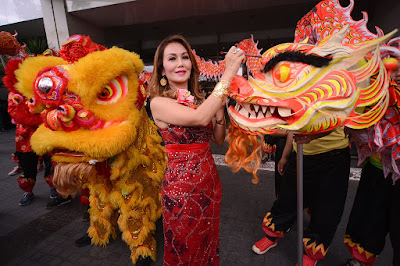 The colourful salad symbolizes abundance, prosperity, and vigor―the three important elements for a good year. 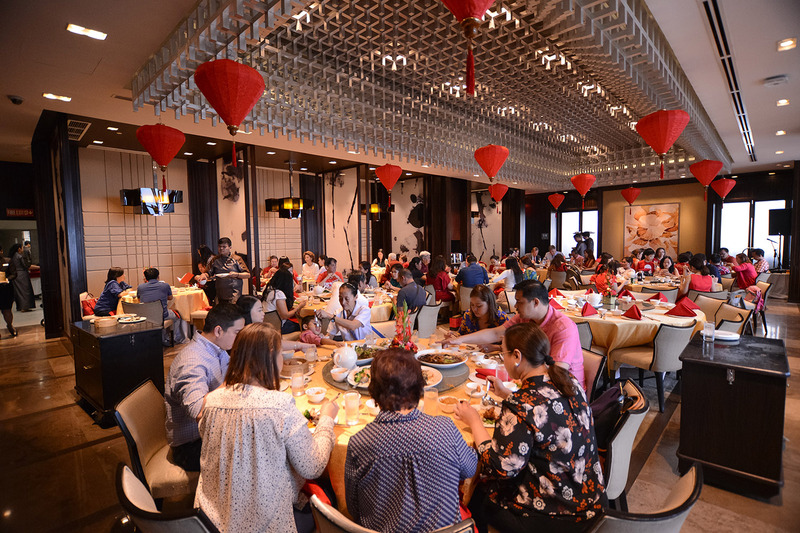 The guests then enjoy their lunch featuring the signature dishes, and only the most authentic Cantonese dishes.